Christopher McNees started at Copperhead in 2016, and has participated in a variety of roles within the environmental field. From restoration, remediation, spatial analysis, sample collection, habitat assessment, Mr. McNees has been involved in multiple environmental projects and studies. He has a heavy geospatial background with extensive knowledge of ArcGIS Desktop 10.3, Microstation, ERDAS, Model Builder, Data Integration tools, Spatial and 3D Analyst Extensions, and Cartography/Map Production. 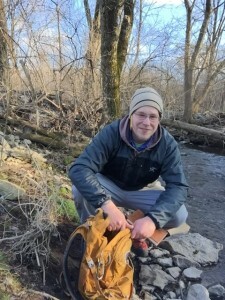 Christopher achieved a Bachelor of Science in Environmental Studies and a Post Baccalaureate Certification in Geographic Information Systems from Eastern Kentucky University. He also received an Associate of Science & Arts in Environmental Science Technology. He is skilled in geoprocessing, geodatabase design/mgmt., data conversion, SQL, geometric networking, orthoimagery analysis, and has experience in a variety of GIS and remote sensing data analysis, land use planning, stream restoration, surveying, and GPS data collection. He previously worked as GIS coordinator on Groundwater Well Quality in Eastern Kentucky locating areas of high risk for contamination. Christopher also helped production and QA/QC on impervious surface mapping projects for Marion Co, IN and Avon, IN, and stormwater/sewer pipeline networking projects for Knox Co, TN and Oliver Springs, TN. With experience working on large, high production as well as smaller maintenance projects Christopher has a good understanding of the correspondence and time management each project requires. During his free time you will usually find Christopher fishing or with his dogs. He also enjoys hiking, camping, riding his motorcycle, and music.